Today, the Alexandria retiree keeps Bill close to her heart by wearing their wedding rings on a chain around her neck. 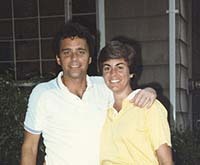 Twenty-five years in to their 27-year marriage, Bill became ill with ALS. When he passed away in September 2010, Nancy wanted to do something positive in his memory. Given Bill’s passion for fitness and park trails, it seemed to be a natural fit. So when Nancy discovered the trails fund on our website, she was thrilled. She knew it was something that would have meant a lot to Bill. 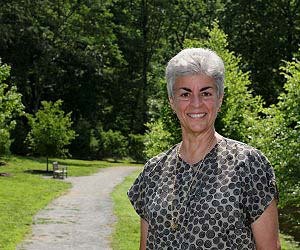 What she didn’t know was the trails fund was new, and as a result of her efforts to promote the fund in her husband’s memory, she helped generate more than $6,000 for Fairfax County trail building, beautification and maintenance. It’s another way for Nancy to keep Bill close to her heart.